I am from the United States of America where I have had the pleasure of being a public school mathematics teacher for 12 years. I have earned a Bachelor of Science degree in Mathematics from Montana State University and a Master of Arts degree in Education for Administration and Supervision from the University of Phoenix. 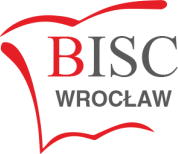 I moved to Poland six years ago to teach maths and science at BISC. I like to make my lessons as fun and interesting as possible, while making sure every pupil makes steady progress. During the holidays and summer months, I enjoy traveling with my family and seeking new experiences that felt out of reach while living in the U.S.